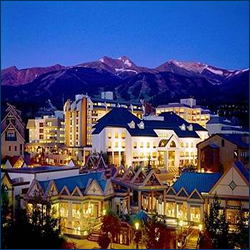 Discover great summer or winter lodging discounts to the Village at Breckenridge Resort in beautiful Summit County Colorado. Book early to receive the best available pricing on great lodging and hotel deals or visit this link for Village Breckenridge Resort Disounts. The Village at Breckenridge Resort is a great choice for that weekend getaway from the big city. Whether its the amazing Breck summer activities that attract you to Summit County, or the Riverwalk and Downtown Breckenridge area that is just out your door and a few minutes walk, visit for great skiing, dining, spa amenities, shopping, and so much more!